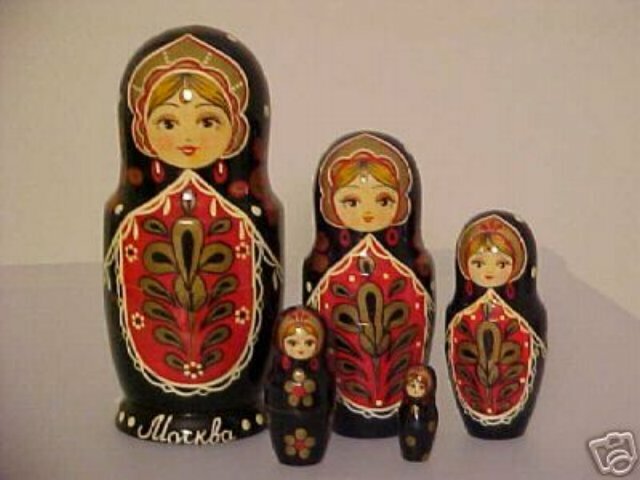 This 5 piece set of nesting dolls has a black background with red, gold and white. Says "Mockba" at the bottom of the largest doll (Moscow). The largest doll approx. 5 inches tall, and the smallest doll approx 1 inch tall.